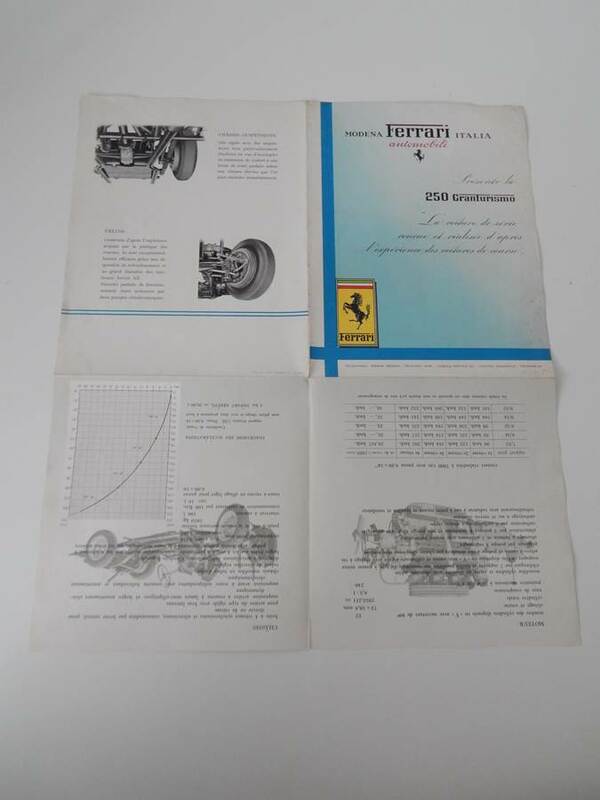 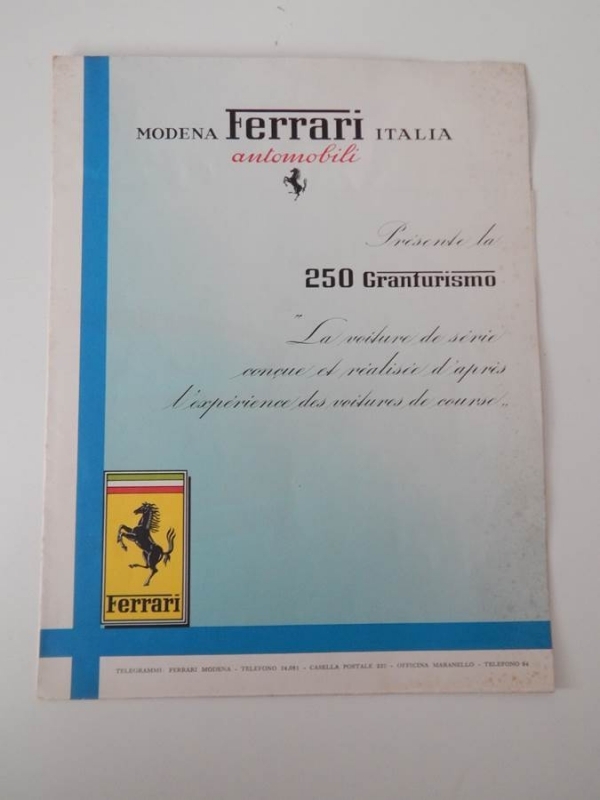 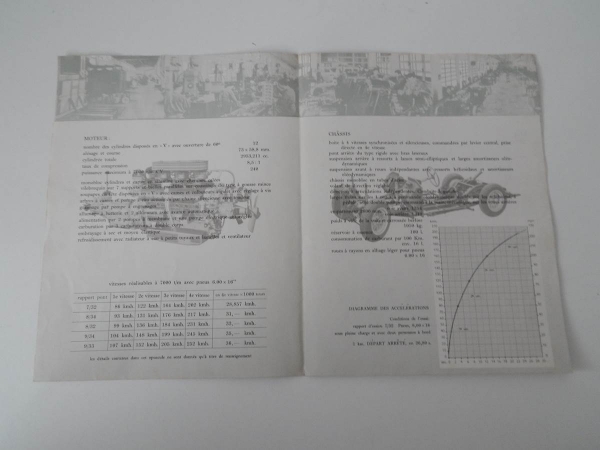 Original Ferrari 250 Granturismo Sales Brochure, in very good condition. 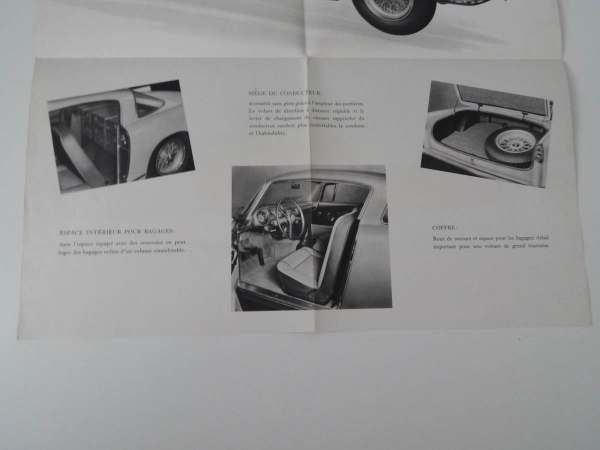 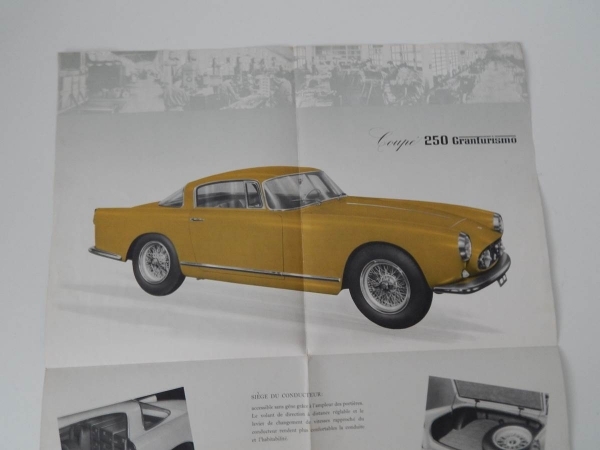 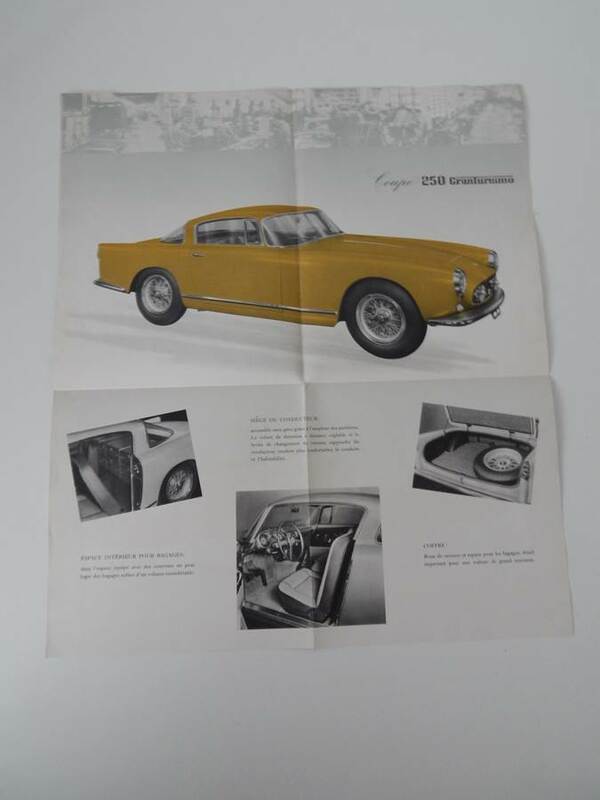 This is an early rare example of the 250 GT brochure, and features what we believe is either a 250 Boano or 250 Ellena as the main image. 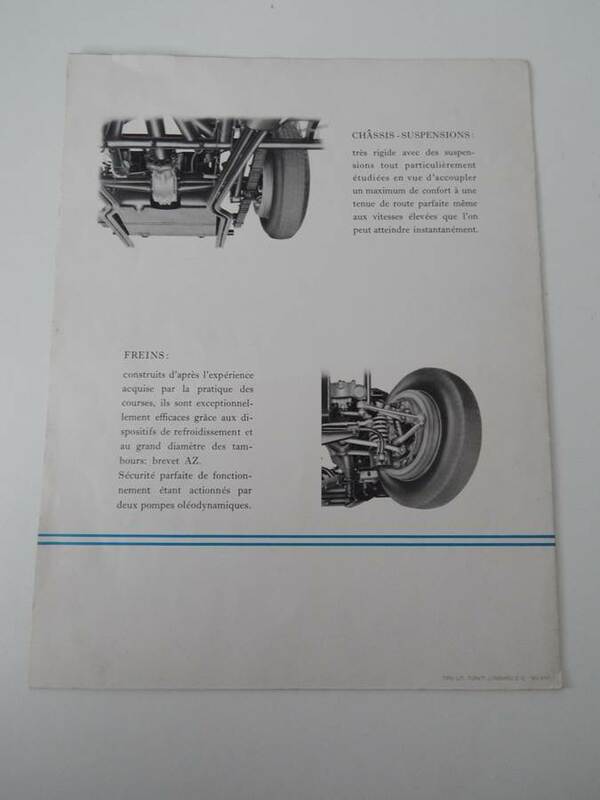 It is printed in French, and is a beautiful piece of Ferrari automobilia.